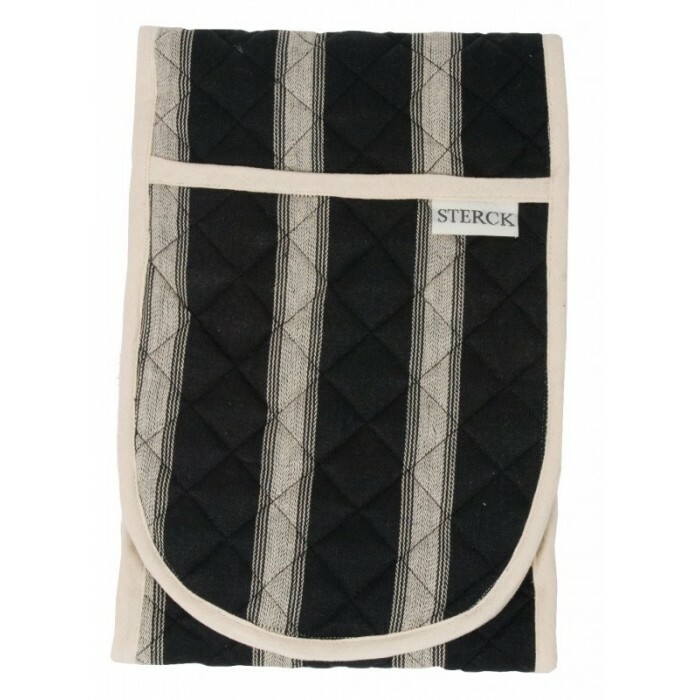 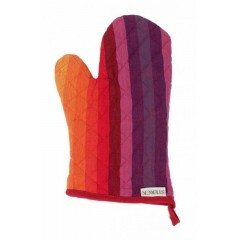 The cotton outer of these rugged,hard-wearing double oven gloves by Sterck is certified Fair Trade, supporting people working in the developing world with fair wages and working conditions. 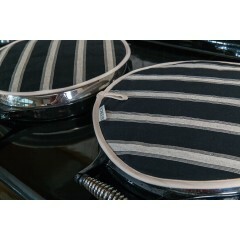 There is polyfibre wadding insulation inside. 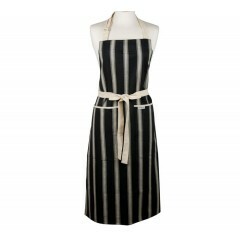 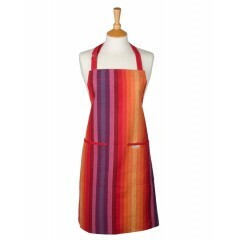 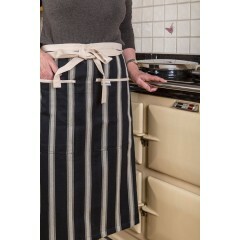 See also the matching striped Aga cover, full-length striped apron and half-size striped apron.